On Boxing Day, we decided to make Poppa's day, finally going to a place he'd been dreaming of taking us for a good couple of years. Maungatautari Ecological Island Trust is NZ's largest ecological island on mainland NZ, surrounded by 47km of predator-proof fence encompassing 3,600 hectares, and Poppa's Super Shuttle came in very handy to transport us all there and back. Despite the odd shower threatening all around us, once inside, the forest provided good cover. Little people had plenty of helping hands when their feet got weary. The sheer size of the trees above us was impressive. We wound our way up and up into the forest. Marvelling in the light filtering through now and again. 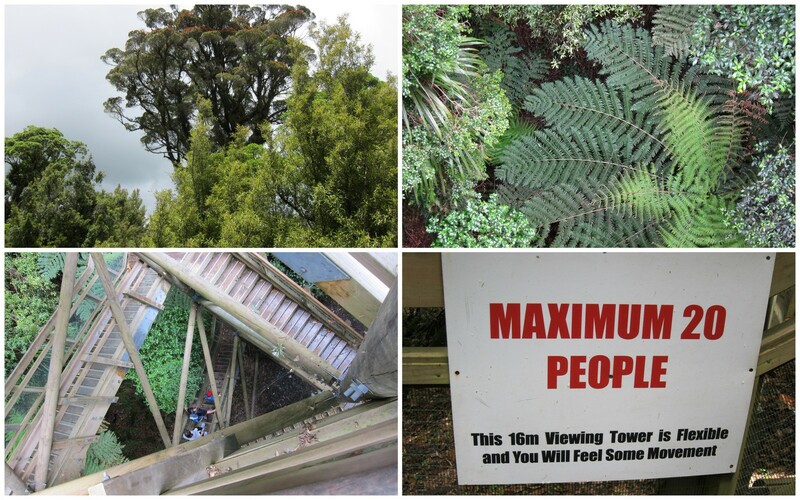 Until we reached the viewing tower. It is a most impressive sight. At 16 metres tall and with 91 steps (Noah counted! ), climbing it isn't for the faint of heart or anyone with a distinct fear of heights as the tower does tend to sway a little in keeping with the tops of the trees it keeps company with.. Looking out on trees swaying gently in the breeze, hearing the sweet chorus of birdsong about us, and looking down on a carpet of ferns that would normally tower above us was quite the magical feeling. And given how I was feeling the fact that I made it all the way there and back again without any mad dashes into the bush for the toilet was nothing short of a miracle too. I did however, have a long nap when we got back. 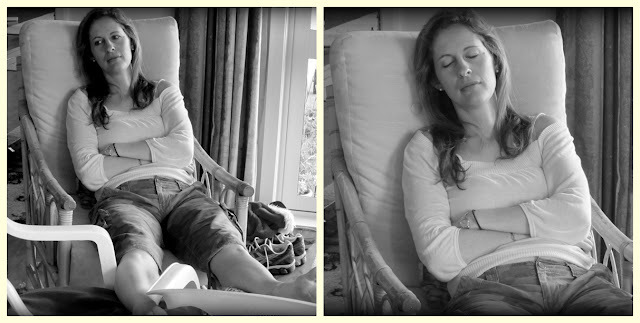 These (sadly) were pretty typical shots of me these holidays! The nap did come in handy, as I then had enough stamina to enjoy a game of Carcasonne in the evening with Nana, Poppa, Alesha and Kim, whilst the boys tried (somewhat unsuccessfully in the end) to get to grips with Operation Market Garden before settling down to a game of Settlers of Catan. A lovely way to end a wonderful family Boxing Day! That walk looks amazing! And those board games look fascinating....!